THOMAS GIBSON will be a guest on "Live With Regis and Kelly: From Las Vegas" on Thursday, March 25, 2010 at 9:00 a.m. ET/PT on the ABC Television Network. Gibson is one of the stars of "Criminal Minds," which airs on Wednesdays on CBS. He is pictured above (left) with series co-stars Joe Mantegna, A.J. 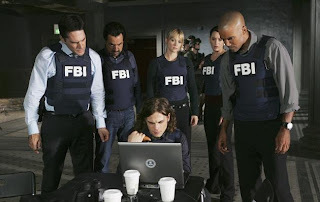 Cook, Paget Brewster, SHEMAR MOORE and Matthew Gray Gubler (seated).